I think there are a lot of myths out there that need to be dispelled. For starters, low fat doesn’t mean it’s good for you. A recent nutrition seminar I attended with James Buckingham of PFP Exeter clearly spelt out that fats should in fact be called ‘thins’. We need a good amount of healthy fats in our diet to survive (and especially if you want to lose weight) and to make matters worse, these low fat ‘healthy’ products are generally crammed full of sugar – one of the number one traitors linked to rising obesity levels. With this in mind, and before I veer too much off topic, I was sent a load of different ‘healthy’ snack bars recently and thought it would be good to test them out against each other. As a rule, I tend to stick to meals and avoid snacks such as these, but I thought, for the sake of my research, I would be able to endure the sweet treats…what a hard life….! I’d like to point out that although I do get free samples sent to me, I always review products honestly and this blog will always remain impartial. At only 35g a bar and with 41.58g of sugar per 100g, I’m beginning to wonder how ‘healthy’ these bars actually are. And yes, they are a source of protein, but perhaps not so protein-packed as you may imagine from reading the front of the packaging! As for the taste test – I liked the coconut cream topping. This means you get all of the sweet, chocolatey flavouring without it being overly-sweet and it also means the bars are dairy free. The range of flavours is good, my particular favourite being the blueberry and chocolate ones. These had a fruity hint which was subtle but enough to give you a hit of berry and still taste the chocolate. My only criticism is that these bars seem to be extremely dense. I unfortunately tackled one after a slightly painful visit to the dentist which I am now regretting! They taste nice but I think the texture needs working on. Packaging: 8/10 – these looks great, stand out from the shelf and I love the design. Healthiness: 5/10 – high sugar but the fibre content is a bonus. Texture: 2/10 – far too dense. Again, another bar which seems to be almost half sugar. Ok, these may be ‘naturally occurring’ sugars but sugar is sugar! The protein content is higher than the Frank bars which is a plus. Taste-wise, I found these bars almost addictive! They are a lot sweeter than the Frank ones and the texture is easier on the teeth! I love the soya protein ‘crunches’ in the bar which give it a different dimension. There’s a good range of flavours as well including apple, banana, strawberry and cocoa. I did find these a little too sweet at times though, and found I couldn’t eat a lot of these – probably a good thing! Texture: 7/10 – I loved the crunches. Delicious. Considering these tasted the most sugary of all the bars, they actually have the lowest sugar content. The protein content is the highest of all the bars too. I found these delicious – they were so moreish! The morning berry ones were deliciously fruity with a sweet berry taste, and the cocoa coconut ones got scoffed in about three seconds flat by Steve! They were a little crumbly though, so probably not best to take them out and about with you – I took one to a meeting in my handbag and when I ate it later I ended up with more in my lap! These were probably my favourite of all the bars, but even these I wouldn’t generally eat a lot of. Texture: 6/10 – A bit too crumbly for my liking, though the topping on the coconut ones held together a bit better. As a rule, I try to avoid snacking and I only really grab things like this in case of an emergency. They’re a handy snack to keep for an energy boost if you’re caught out without a meal – I try to keep some in my car glove box for when a job overruns and I can’t wait to get back to the office for lunch! I’ve told you what I think – but what about you? 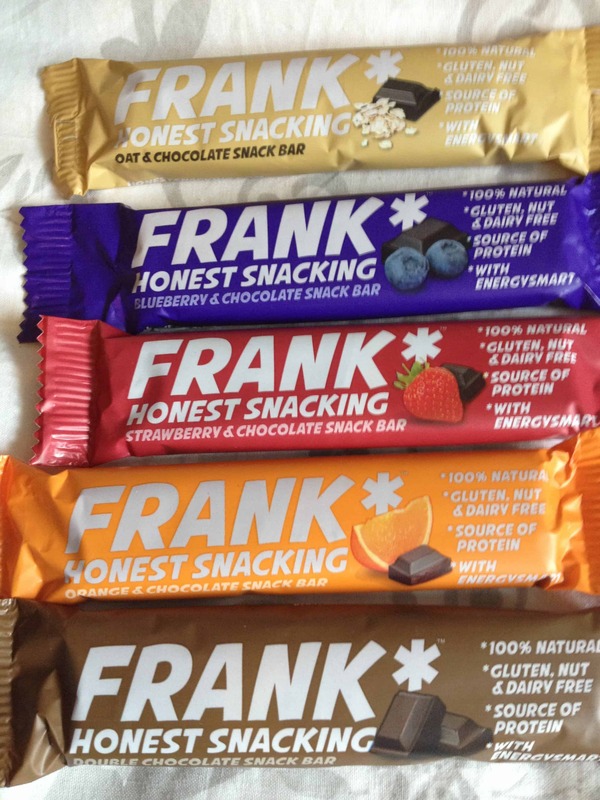 If you have any suggestions for any gluten free snack bars you think I should try, get in touch or leave a comment below. Next Post A weekend filled with gluten free bread! 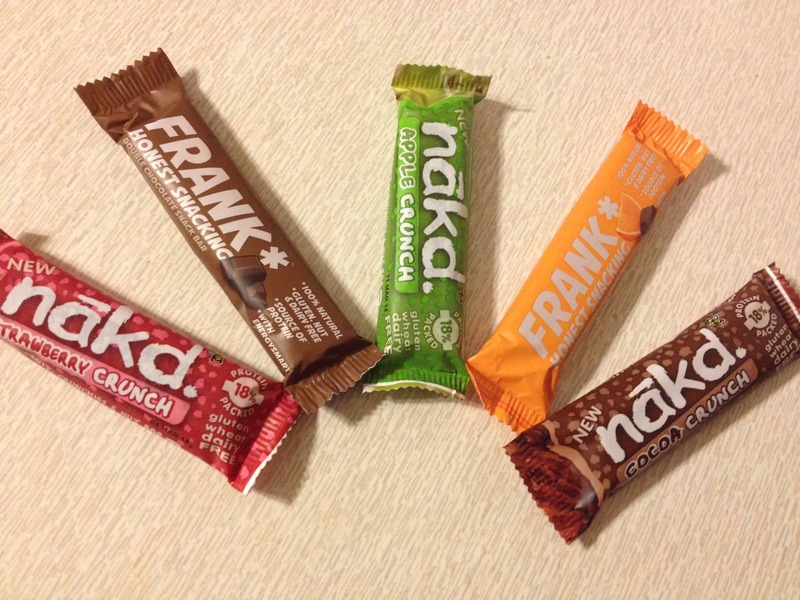 I definitely would stick with the nakd bars – I just found the Frank bars very dense. Yep, agree these are natural sugars, but they are still sugar all the same and don’t really think they can be labelled as ‘healthy’…..you’d be better off just eating a banana! 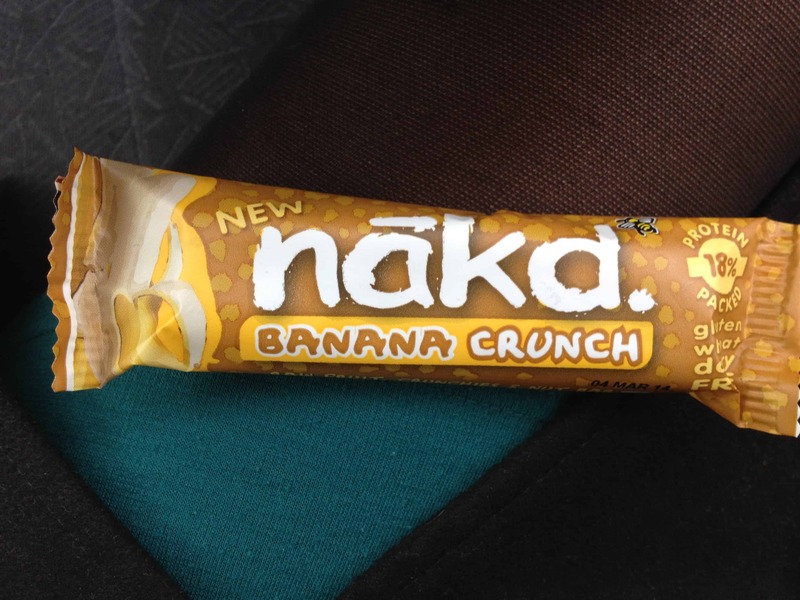 I tried a Nakd bar when I want in the UK a few months ago rhubarb from memory and I thought it was delicious but I agree, these bars aren’t really healthy. Better to have a piece of fruit or some dried fruit and nuts. Great comparison though, very thorough. The Nakd Chocolate Coca bars are very tasty. 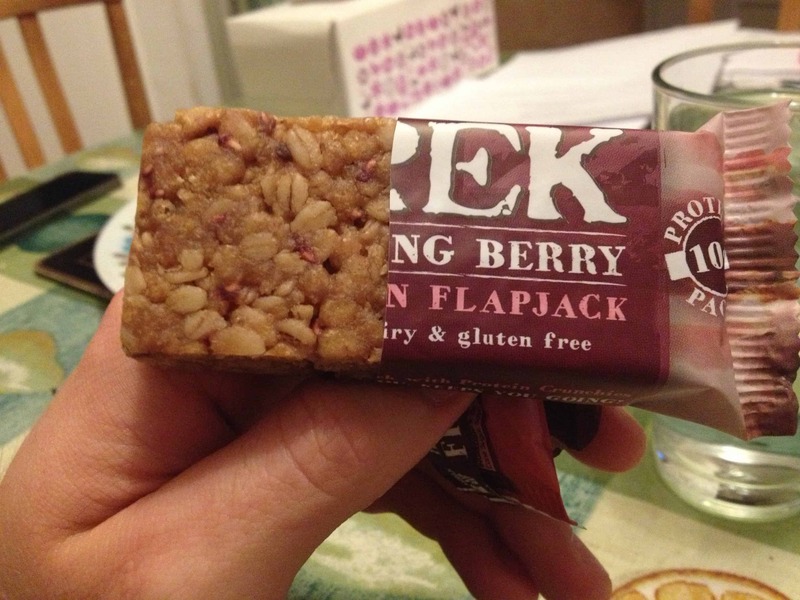 I haven’t tried Trek bars but i love flapjacks so can’t go wrong! Definitely worth a try for a treat 🙂 they are very yummy!